Darkness cannot drive out darkness; only light can do that. Hate cannot drive out hate; only love can do that . On May 23, 2017, a war broke out in Marawi lead by the Maute group. Roads have been closed, establishments have been bombed, thousands of families have been displaced and since then, several charity groups and organizations, big and small, in and out of the country, have come to the rescue. One of which is Liter of Light Philippines - a movement that made its mission to provide affordable, sustainable solar light to people with limited or no access to electricity. Being in my little thick bubble as I just had a baby (her name is Luna), I've been pretty oblivious to what's going on out there. However, even in that bubble, with all the bits and pieces of terrible news I get from social media, no one can deny that the news about Marawi stands out a mile. This horror that's been going on in our country is nothing short of devastating and as much as it leaves a lot of us normal folks helpless, we try to do whatever we can to help alleviate the situation in our own way. Dates with the hubby have to be carefully scheduled, if it's even possible. Where do we leave the baby? Any good movies? Where can we eat where we haven't eaten before? But when I heard about this event, I jumped out of my seat and convinced my husband right away. 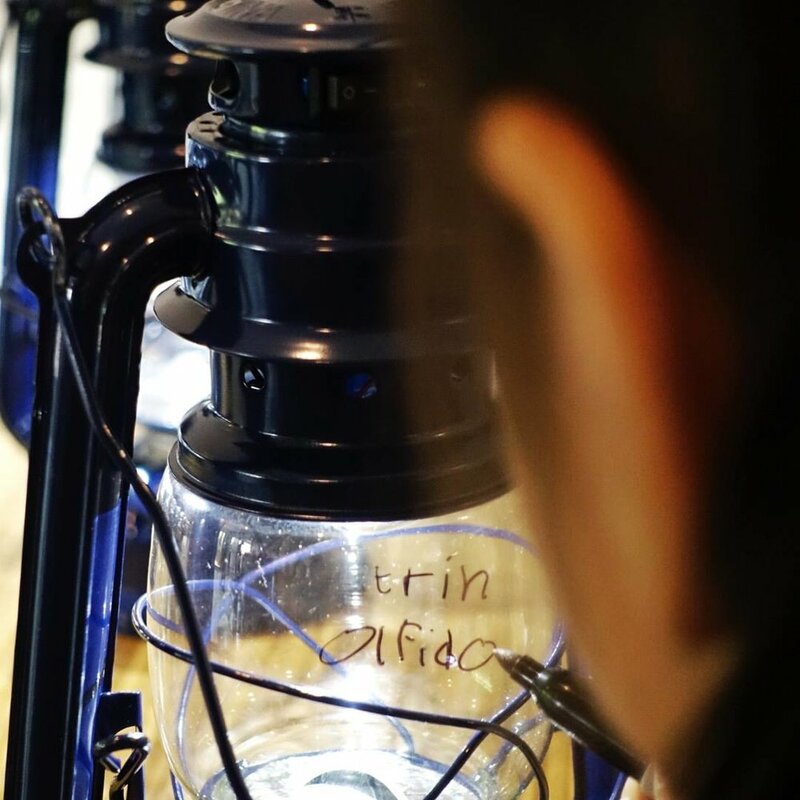 "We're making solar lamps for Marawi! Just an hour of our time in the afternoon. It's for the greater good! I'm glad he was easily convinced. It's one of those activities where even if you spend just a little bit of your time, you know it's time well spent. It took me back to high school (De La Salle Zobel) where we had to learn about resistors, capacitors, etc (Hi, Mr. Miranda!). Maybe back then I knew what they were for but if you ask me now, I have no clue (Bye, Mr. Miranda!). The great thing about this though is all you have to do is follow simple instructions - solder those tiny little things in their proper places and cut the excess wire at the back. It felt like piecing a puzzle. It's so simple, even kids like Talia (age 11) can do it! I'd involve myself (in a heartbeat) in initiatives like these, with the precious time I have for myself. It takes just a bit of your time, it's easy to get to (thank you Philippine Artisan Trade for hosting this event!) but makes a world of difference to our brothers in need. It certainly felt like I was successful at spending my time (away from Luna) wisely. It's a great feeling. And to be able to share the experience with my favorite people, what more could I ask for? Know more about Liter of Light through their website and get updates on their next projects through their local Facebook page.